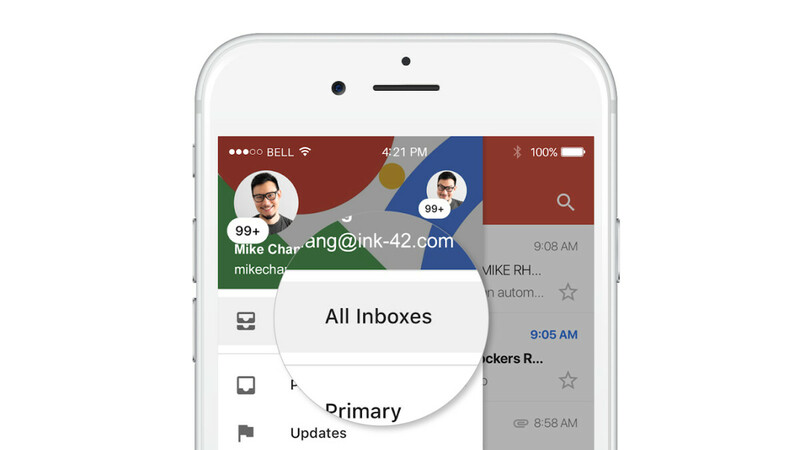 Google has finally brought unified inbox view for multiple accounts to iOS devices, most probably due to necessity rather than based on users feedback. If you have multiple Gmail accounts, you can now view email from all of them in the Gmail iOS app. This particular feature is already available to Gmail users on Android for quite some time now, but it's nice that Google is making it available to iOS users as well, even though later than we would have expected. An update should be rolling out to iOS devices over the coming weeks. Once you get the update, simply select the “All Inboxes” view from the left-hand side drawer to be able to see emails from different accounts at one time. When you enable All Inboxes feature, all your emails will show in a single list, but keep in mind that emails will not be shared between your accounts, be it your work or personal. Google says the roll-out should take up to 15 days, so be patient if you don't get the feature right away. Would be nice if they would include customizing swipe gestures like on android. Do NOT traffic your emails through Google's servers!